• Please note that the synths we have used were only raw materials: the recorded samples were just the starting points. We have exploited the specific features of Kontakt and created a vivid, live sounding library. • Most of the patches are velocity sensitive and they have been designed to live performers, so a good midi keyboard (with modwheel, control knobs and aftertouch) is higly recommended. After downloading the LEMON package, you will need a rar unarchiver, like UnRarX (Mac) or Winrar to unpack the content. 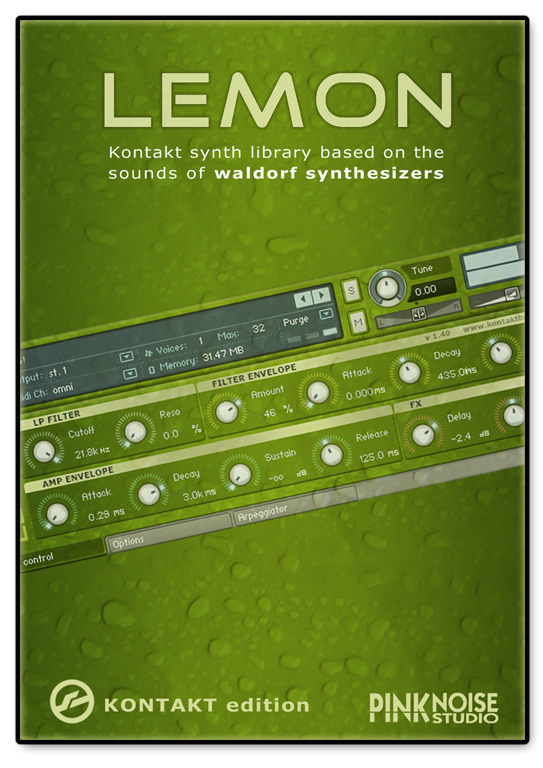 Inside the package, there will be one main folder: LEMON Kontakt Edition – it contains all files of LEMON. You can move this folder to your Kontakt sampler library, but please don't change the folder's internal structure! Now you can launch Kontakt, and use its internal browser to locate the presets of LEMON (nki files). Using drag and drop from your finder/explorer may work as well.